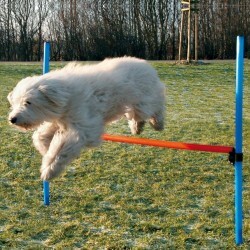 Product Details -Suitable-All Breeds Dogs , Size-115 cm length x diameter 3.3 cm posts length of jump bar is 129 cm pack contains 2 posts, 1 bar and 2 carriers this agility hurdle prepares your dog a varied fines program, Use - The exercises keep the dog fit and give a long an healthy life, Training purpose. 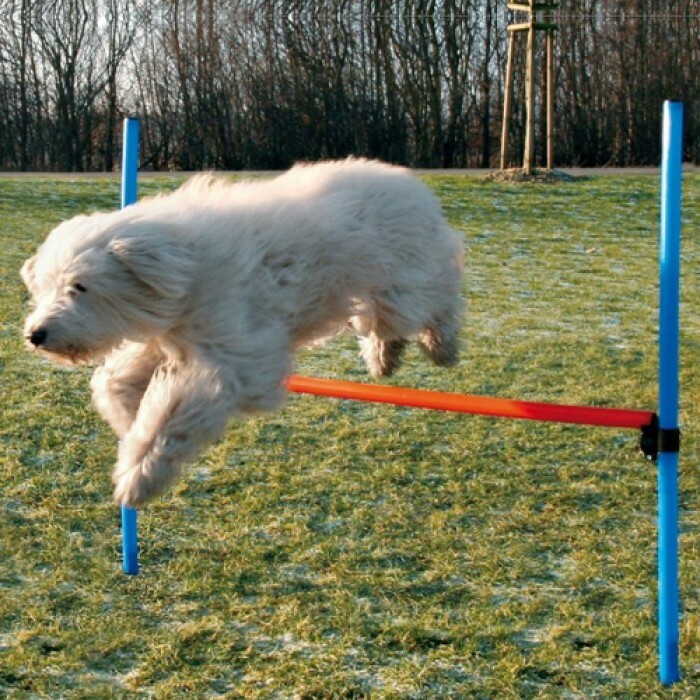 Product Information - 115 cm length x diameter 3.3 cm posts length of jump bar is 129 cm pack contains 2 posts, 1 bar and 2 carriers this agility hurdle prepares your dog a varied fines programme. The exercises keep the dog fit and give a long an healthy life. prepare your dog a varied fitness programmer exercises keep the dog fit and give a long and healthy life playing with the dog intensifies the relation and helps to build up confidence in the master general.